« Robert Meir has Earned an Arboriculture Qualification! Ready to be rid of mosquitoes? 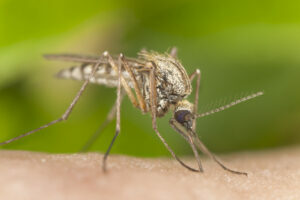 Mosquitoes love to hang out around your yard when the weather gets warmer, but you probably won’t love that. Having a landscaped yard space is wonderful, but all the mosquitoes can ruin the fun. So, how can you get rid of these pests before they even arrive? Well, with some clever landscaping you can keep mosquitoes from being attracted to your yard. You can also reduce your risk for mosquitoes to breed in your property. Let’s take a look at some ways to keep mosquitoes at bay. If you want to sit outside in comfort, you might reach for the bug spray when things get bad. Now, here’s why you shouldn’t. Traditional bug sprays have harmful chemicals in them that can cause long term health problems if they are used on your skin or breathed in. So, what can you do? Well, Catnip oil has been proven to deter mosquitoes from nibbling on you. It’s all natural and can be grown right in your herb garden. So, sit outside with some catnip oil. Citronella is pretty safe and can also be grown right in your backyard. Along with citronella, there are a variety of helpful flowers and herbs that can help keep mosquitoes at bay. These plants have an odor that mosquitoes simply do not like, but you might not like them either. So, try to sample them in the gardens of others or at your local flower shop before you have them planted. The plants you can use to deter mosquitoes are Marigolds, Chrysanthemums, Asters, and Pyrethrum Daisies. Some herbs that might also help are Basil, Anise, and Coriander. Have these little fellas planted in your yard or in flower boxes near your deck. Think about where you’re going to hang out while you’re outside so you can plant accordingly. This entry was posted on Thursday, April 23rd, 2015	at 4:04 pm	and is filed under Blog, Landscaping Design, Lawn Maintenance Service	. You can follow any responses to this entry through the RSS 2.0	feed. Both comments and pings are currently closed.